San Francisco Heritage and the San Francisco Latino Historical Society developed “Calle 24: Cuentos del Barrio” in an effort to bring visibility to the Latino heritage of 24th Street and to support its continued vitality. With guidance from Dr. Carlos Cordova of San Francisco State University and Oscar Grande of PODER (People Organizing to Demand Environmental and Economic Rights), local high school and college students received training in oral history methods and conducted a series of interviews with community leaders from 24th Street to recover stories dating from the 1940s to the present-day. The information gathered helped inform the contents of this booklet. 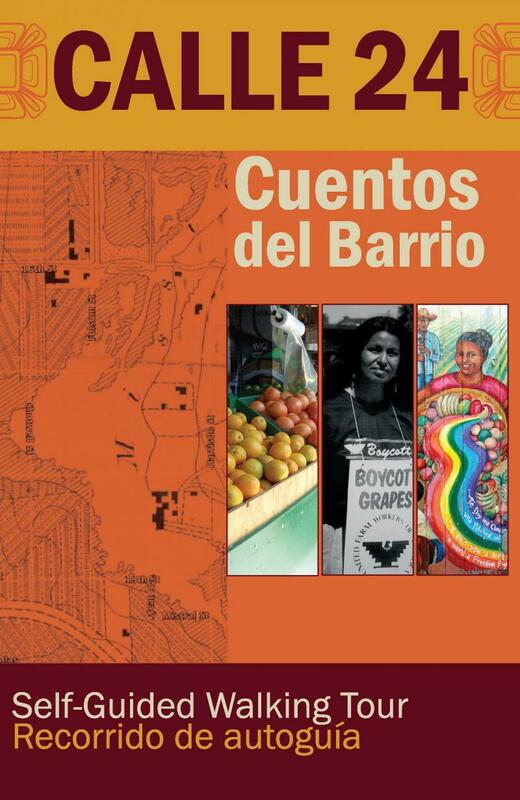 “Calle 24: Cuentos del Barrio” was made possible with funding from the Bland Family Foundation and the Richard and Julia Moe Fund of the National Trust for Historic Preservation. Please click on image to download booklet.